The Las Vegas Area Council needs your financial support. A gift to the Las Vegas Area Council helps support the programs and services that help keep Scouting vibrant in our community. How can you help with a donation? It costs the Las Vegas Area Council $180 per youth to operate and provide council services. That is only $15 per month – a real bargain when you think of the experience, values, and training your child is receiving. $180 covers the cost of one youth for one year. Please consider doing more if your budget allows. 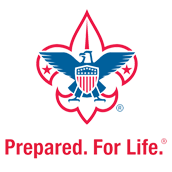 Help over 19,700 youth enjoy Scouting. Help over 7,300 leaders continue to deliver a quality program. Help in the operation of our three scout camps and numerous day camps. Reach out into our communities and give Scouting opportunities to more youth. Conduct more training programs for our leaders.